For Peter Brady, doing an MBA was always more about changing job function, not company. When he left GSMA—the industry body that represents mobile operators worldwide—for a full-time MBA at the University of Hong Kong (HKU), he had no plans to return to the organization after graduation. But, during the 14-month HKU MBA program, he upskilled, gained first-hand startup experience, and was offered a new job at GSMA; a promotion to a new department in a new country. 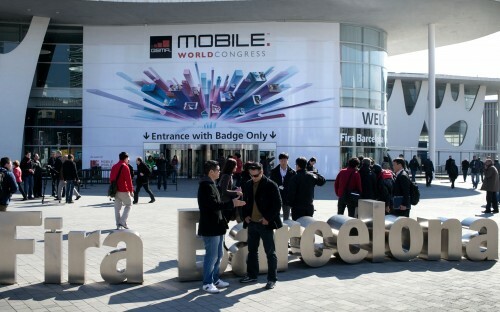 Now based in Barcelona, Peter works as GSMA’s business director, reporting into the general manager. He heads up the commercial partnerships team and helps run a global conference series—GSMA Mobile 360–for mobile operators. A key part of the job is related to startups—Peter is GSMA’s lead man for the 4 Years From Now (4YFN) brand, connecting startups in the telecoms space to corporates and investors. Pre-MBA, Peter worked as a GSMA account director in London before moving to Hong Kong to drive the organization’s Asia expansion. The move led him to study at HKU—the school’s 14-month MBA program is ranked first in Asia for eight consecutive years by the Economist. BusinessBecause caught up with Peter to find out more. Why did you decide to pursue an MBA at HKU? As GSMA’s business in Hong Kong grew, so did my responsibilities. I wanted to extend my breadth of skills and knowledge beyond sales and gain the confidence to work in a broader management role. I was very much aware of the reputation of HKU MBA, and the class profile was more international compared to some of the other schools in Hong Kong. The original plan was to look for a sideways move into a big international tech company in Hong Kong or Singapore. However, what was most important for me was the next role rather than the next company. What stands out from your HKU MBA experience? One highlight for me was the Business Lab; a four-month mock incubation program to develop a startup and take it to pitch stage. Out of ten teams, our team—coming up with a food-packaging solution—won first prize. The Business Lab was very relevant for me in my current role managing startup brands at GSMA. It was a good experience to put myself through the same journey, and the same challenges, that a lot of our community are going through with their startups. We had a design expert and a finance expert in the group. It was interesting to work with people with different skillsets. With an MBA, you learn all the different facets of running a business. You have the opportunity to put some academic principles behind a startup before you start—you give yourself a strong advantage. The Business Law & Ethics course with David Bishop. The classes were rooted within a very humanistic reality. We looked at ethics as individuals rather than in a corporate sense, and our responsibilities as individual business leaders. The job at GSMA was exactly the type of role I was looking to transition into. The University of Hong Kong was completely flexible. HKU did everything in its power to assist and accommodate me to get this job. I’ve gained an insight into other job functions that I never previously had. I’ve learned enough about accounting now to talk the language of an accountant for example. I can switch and liaise with lots of different departments internally, in a way that I couldn’t have done before. Plus, most organizations today have, or plan to have, operations in Asia. Even if you’re not based there, being familiar with the region has great value. Asia has the most mobile connections in the world. It’s the biggest market capital-wise outside the US. Alibaba, Samsung, and Tencent are all there—it’s the region for my industry.